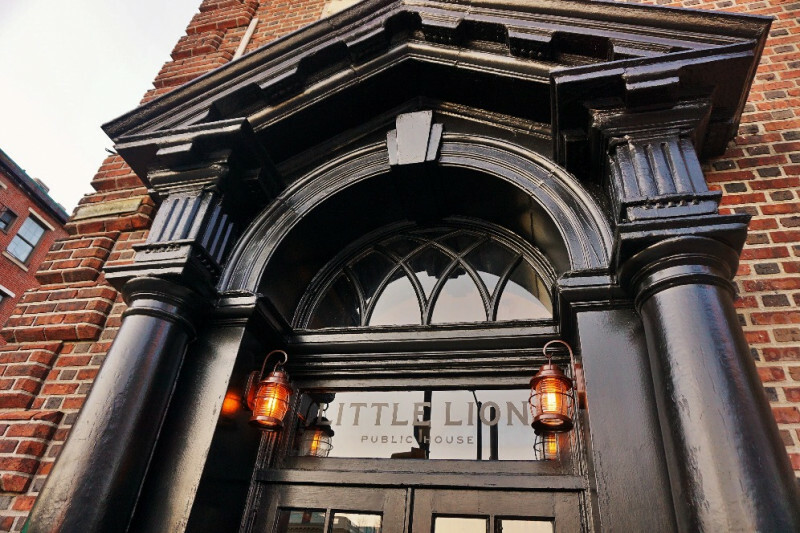 We are sad to share that The Little Lion will be closed for several months due to the recent four-alarm fire in Old City. While the fire itself was in the two buildings next door, The Little Lion is greatly affected as we share a common wall and various building elements with both of these properties. We ask during this time for you to help support our amazing staff that has lost income and are impacted by this tragedy. We have not been formally allowed inside the restaurant to review the damage, begin drying out, or make repairs. The last information we have is that the buildings near us are also still in a collapse zone and for safety the real repair work can not begin yet. While we don't know the full extent of the damage, we do know there is significant water damage to at least one if not both of the kitchens, the mezzanine and the basement level. We sustained major water damage to the back half and lower levels of the building - but the final look at damage will happen in the coming days. City and fire officials are focused on the safety and stability of the neighboring properties at the moment, and during that period we are waiting patiently. While we are temporarily closed, we want to take good care of our amazing Little Lion family and staff. We have over 80 employees and we are seeking temporary placements for them at fellow restaurants, bars and other businesses. We have had a number of generous offers and other restaurant leaders are stepping up to help - and we are working day and night to work with them to help our team. In the meantime, we have set up this Go Fund Me to raise money these displaced workers. This is definitely not the last roar for The Little Lion - we will be back and be better than ever. We will simply be hibernating for a period of time while we access and make repairs and fix our historic space. We poured our heart and soul into bringing new life to this corner of 3rd and Chestnut - and we can't wait to be part of your most important family memories again. Thank you for your well wishes, messages and offers to help. Please join us in this official benefit for our staff - and join us at our Employee Benefit on Sunday, March 4, 2018 from 1:00pm to 5:00pm at Mad Rex Restaurant and Virtual Reality Lounge. On top of tickets and donations, we also seek prizes for the event - and food donations from our fellow restaurants. Mad Rex is generously donated full use of their space, employees, Mad Rex IPA, chicken wings and event Virtual Reality for our guests. The owners of The Little Lion will pay any non-venue event expenses. 100% of the funds donated to this campaign will go direct to our employees. Please join us! Food and drink donors so far! For anyone with temporary positions or wants to help offer our team jobs, please contact Chris Younge at 267-971-9341 or through this Go Fund Me Page. Please contact Chris Younge at 267-971-9341 or through this Go Fund Me Page. Want to donate to our auction and drawing? Contact Nicole Younge at 215-669-9475 or through this Go Fund Me Page. Our initial goal at this time is to raise at least $15,000 to help our employees. Once we gain entrance to the building and update our timeline, we will update this page. We are thankful to everyone involved in fighting the fire, keeping everyone safe and working to rebuild this corer - including the fire department, the American Red Cross, city officials, Red Paws, Old City District and all other agencies involved. Thank you also to Mad Rex for stepping up and offering us all of their resources. Finally, at our event, we will have a special way to donate to Red Paws for their important work - as so many pets lost their lives in this fire. Join us! 1 VIP ticket to event at Mad Rex on 3/4 incl. unlimited alcoholic drinks, appetizers, DJ, 10 minutes free virtual reality, name on sign at event. 1 VIP ticket and benefits that come with it, plus 25 prize chance tickets, name acknowledgement online, 1 Little Lion t-shirt (when we re-open). 2 VIP tickets and all benefits they include, plus 25 prize chance tickets, name recognition online, and 2 Little Lion souvenir t-shirts. 2 VIP tickets, 25 prize chance tickets, name recognition online, dinner for 2 when we re-open ($150 value), and two Little Lion t-shirts and hats. 4 VIP tickets, 25 prize chance tickets, name recognition online, private tasting dinner and drinks for 8 when we re-open, 2 souvenir t-shirts and hats.